A unique, intense course where you will learn the essential foundations of Yoga Therapy, from which you can build up your further Yoga Therapy Diploma hours. These 100 hours are part of the 500 and 800 hours diplomas. This foundation course takes 2 separate weeks, and it is an essential part required by all applicants of the diploma course, and for those who, for professional reasons, wish to learn more about the therapeutic applications of Yoga Therapy. Fundamental principles of Yoga Therapy; What is Yoga Therapy, Applications, and Areas of Application of Yoga Therapy, Scope of Practice. Integration of Krishnamacharya Traditional Yoga Therapy teachings and the Yoga Therapy lineages of The Bihar School of Yoga, Kundalini Yoga, Structural Yoga Therapy and the up-to-date Yoga Therapy Biomedical Scientific models. Basic introduction to the history of yoga and yoga therapy, including traditional and modern lineages. Definitions of health and restoration of balance in the Yoga tradition, and as described by the World Health Organisation. Students will learn to identify health warnings and Red Flags, as well as challenging situations, referral protocol, safety and self-protection, client communication skills, and communication systems with other health professionals. Structure and deliver of client assessment and intake. This includes a clinical observation process which encompasses both physical and psychological assessment. These systems are based on the scientific and biomedical models of Body-Mind work, and the teachings of Dr. Timothy McCall. How to model and structure a client intake, the objectives of the intake as well as the psychological aspects of the intake process. INTRODUCTION TO YOGA THERAPY PRINCIPLES OF ASANA, PRANAYAMA, AND MEDITATION. Basic Yoga Therapy principles of Asana, Pranayama, and Meditation. During this course you will be able to observe life- case studies lead by a certified yoga therapist in clinical and personal settings. 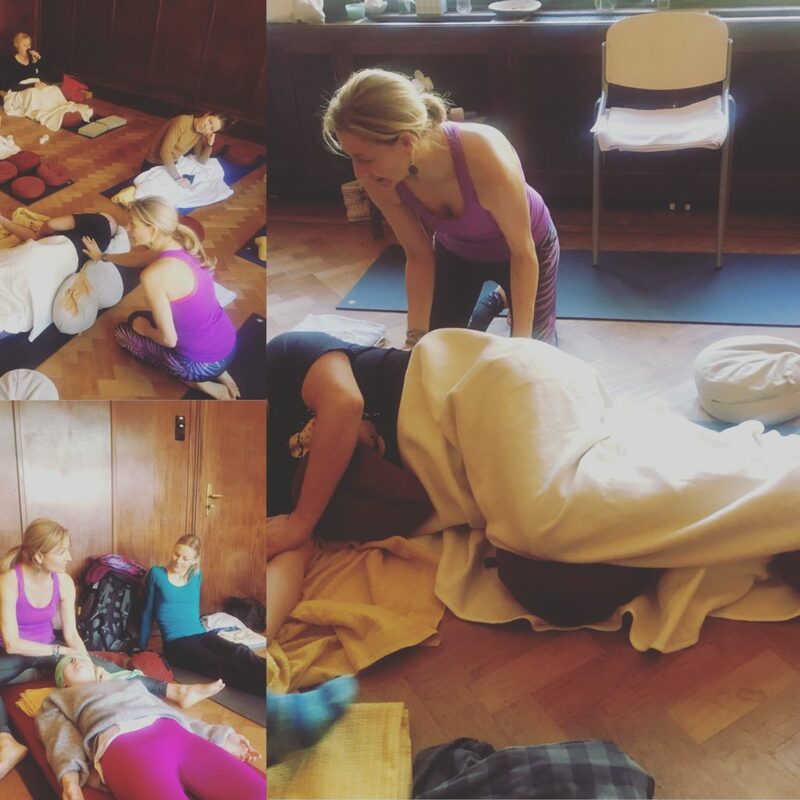 This Yoga Therapy Foundation Course 100-hour is open to all Yoga teachers and therapists with yoga teaching and practice experience, who are interested in professional Yoga Therapy and who would like to do this course as a bridge to further Yoga Therapy studies. This course can be of interest as further education to medical professionals, physiotherapists, coaches, and other therapeutic professionals. Upon completion of this course, you will receive The Yoga Therapy Institute 100-hour Foundation Course Diploma, which will allow you to continue your studies as a Yoga Therapist with us, or with many other international schools. Continuing your studies elsewhere is always dependent upon a successful application. We are currently in the advanced stages of the process of our application for the IAYT accreditation.